Vintage Park Veterinary Clinic in Sacramento, CA is committed in delivering quality and compassionate veterinary care throughout the life of your pet. We provide personalized service. Our services include preventive health care for young, healthy pets; early detection and treatment of disease as your pets grow and age; and medical and surgical services as necessary during his or her lifetime. We understand the special role your pet plays in your family. 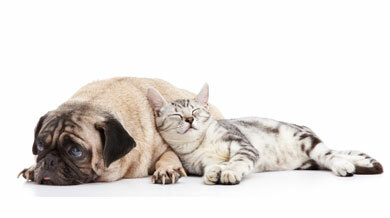 We are dedicated in becoming your partner in managing your pet's health. We treat your pet as we would our own. Our staff strive to pay personal attention to the unique concerns of each individual pet owner. Vintage Park Veterinary Clinic serves the communities of South Sacramento, Elk Grove, Rancho Cordova, Wilton, Galt and more! Thank you for taking the time to read about our veterinary practice and the services we offer. We welcome your comments and suggestions. Please contact us at (916)688-5486 for all your pet health care needs.